Places Where Kids Eat Free in Perth | Monday to Sunday! Here’s our list of places where kids eat free in Perth – sorted by the day of the week! Feeding the kids without the need to clean up the kitchen or dip into the bank account is a dream situation that more and more restaurants throughout Perth are making a reality. Through the widely available ‘Kids Eat Free’ promotion, the family-restaurant experience has become as affordable as ever, making it easier to head out for lunch or dinner as a family. Eager to give it a go, but not sure where to look? 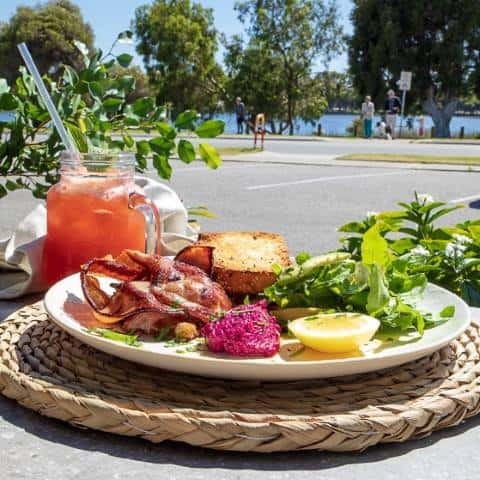 Here’s a list of spots scattered around Perth with a ‘Kids Eat Free’ offer available. Places where kids eat free over the school holidays! 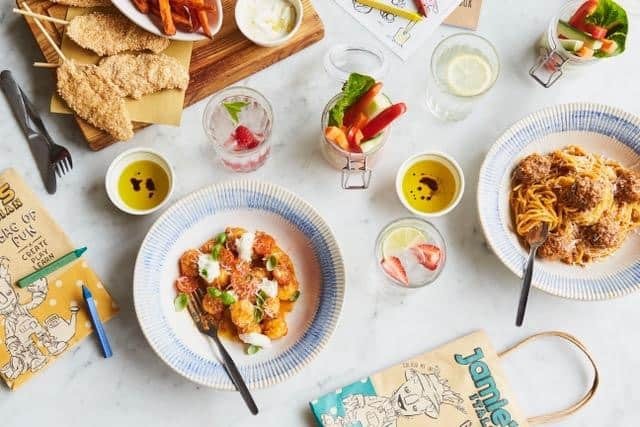 To celebrate the school holidays, Kids Eat Well for Free will return to Jamie’s Italian in Perth (and Sydney, Adelaide and Brisbane) until 31 January. Parents, get excited – this means you get to enjoy some delicious pasta too! All you have to do is pop in throughout January, and for every adult meal ordered, one child can enjoy a kids meal on the house, complete with their much-loved shake-me salad, a drink of their choice, a dessert, and colouring activities to keep them entertained. Jamie’s award-winning kids menu is packed full of tasty fresh dishes including mini meatball spaghetti, happy chicken lollipops, baby organic sliders, secret seven cheesy gnocchi, fresh fruity water, salads and much more! All dishes are healthy, fun, and most of all delicious and designed by Jamie Oliver himself. Yum! Whether it’s lunch or dinner, Jamie’s Italian is the place to go for a feed with the family this school holidays! So what are you waiting for? Round up those little ones, pack your appetite, and make a booking now – click here to see more. The Gate Bar And Bistro are offering great value through their ‘Kids Eat Free’ promotion. Purchase one adult main meal and receive two kid’s meals on the house. Children can choose between fish and chips, ham and pineapple pizza, cheeseburgers, steak, crumbed chicken, pasta, grilled fish, or grilled chicken. All meals also come with a drink and dessert, along with a free activity. This offer is only available between 5:30 pm and 8:30 pm and applies to kids 12 years and under. On any other day, meals are $12 each. Available on both Mondays and Tuesday, the Hog’s Breath Cafe is offering great value for parents. Purchase an adult main meal (valued over $20), a redeem a complimentary kid’s meal. Children can choose between chicken nuggets, cheeseburgers, fish and chips, pasta, steak, or chicken. All meals also come with a drink and dessert. Conditions apply – this promotion is only available at participating restaurants and only applies to kids 12 years and under. On every other day, kid’s meals are $9.95 each. Combine a free kid’s meal with a movie at the Northshore Tavern. Children can choose between favourites such as fish and chips, cheeseburgers, chicken nuggets, or a ham and cheese pizza. To top it off, all meals also come with a free activity pack to keep the kids entertained. Conditions apply – maximum of two kids per paying adult. This offer is only available to kids 12 and under. Head down to the Odin Sports Bar And Bistro every Monday and Tuesday for their ‘Kids Eat Free’ offer. Children under 12 years of age can choose between chicken nuggets, pasta and meatballs, steak and chips, bangers and mash, cheeseburgers, fish and chips, or pizza. All meals also come with a drink and dessert. This offer is only available between 5 pm and 8 pm in the Bistro. No other offers can be redeemed alongside this promotion. The Greenwood Hotel hosts their ‘Family Night’ promotion every Monday, including free kid’s meals, free kid’s entertainment, and a family meal special. Kids can choose between popular items such as chicken dippers, mini chicken schnitzel, chicken burgers, fish and chips, chicken parmigiana, calamari rings, fish of the day, spaghetti bolognese, mini cheeseburgers, steak, pizza, or pasta. All meals also come with a side and a drink. Every paying parent will receive two free kid’s meals every Monday at the Brook Bar And Bistro. Kids 12 and under have the option of fish and chips, cheeseburgers, steak, pasta, grilled fish, crumbed chicken, ham and pineapple pizza, or grilled chicken. All meals also come with a drink and dessert, along with a free activity to keep the little ones entertained. On every other day, kid’s meals are $12 each. Kids under 9 years of age eat free every Monday And Tuesday at the Sporting Globe. Purchase an adult main meal to redeem a free kid’s meal and dessert or a mini football. Children can choose between classics such as chicken tenders, fish tacos, burgers, and much more. On every other night, meals are typically between $10.90 and $12.90 each. The Odin offers their ‘Kid’s Eat Free’ promotion every Monday and Tuesday for children under the age of 12 years. Kids can choose between chicken nuggets, pasta and meatballs, steak and chips, bangers and mash, cheeseburgers, fish and chips, or pizza. All meals also come with a drink and dessert. Head to the bistro between 5 pm and 8 pm to redeem this offer. No other discounts can be applied. 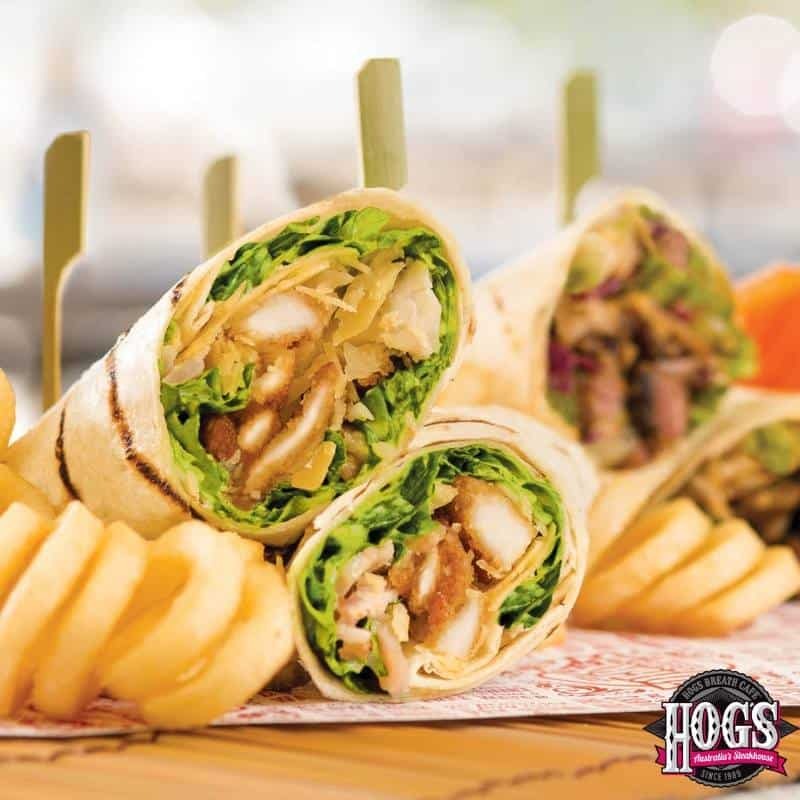 Every Monday and Tuesday, kids eat free at the Hog’s Breath Cafe. Purchase an adult main meal (valued over $20) to receive a complimentary kid’s meal. Children have the option of chicken nuggets, cheeseburgers, fish and chips, pasta, steak, or chicken. All meals also come with a drink and a scoop of ice cream. This promotion is only available at participating restaurants and only applies to kids 12 years and under. The Left Bank is now offering their ‘Kids Eat Free’ promotion every Tuesday from 5 pm. Purchase an adult main meal to redeem the offer. Children can choose between dishes such as cheeseburgers, chicken tenders, fish and chips, pizza, or pasta. 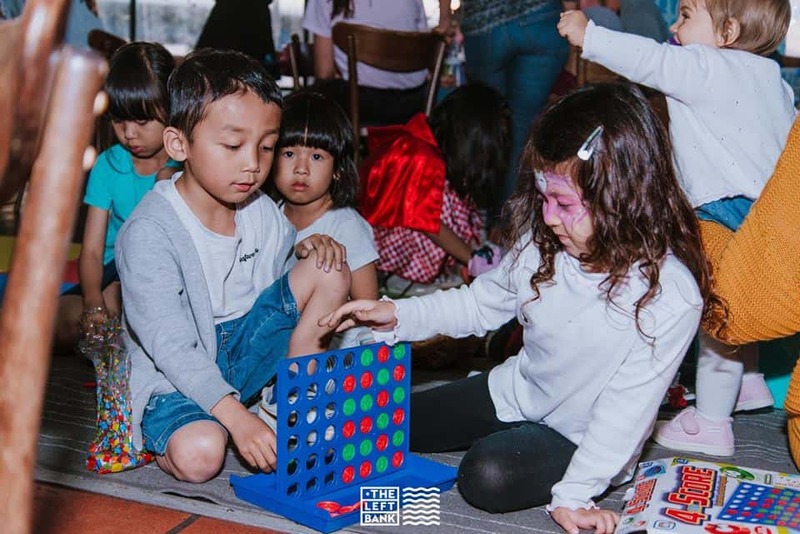 To top it off, kids can also enjoy face painting, colouring in, and games. On every other day, kid’s meals are only $11 each. Kids eat free every Tuesday night at the Flames Restaurant. Children can choose between chicken nuggets, fish and chips, butter chicken, spaghetti bolognese, or a beef burger and chips. On every other day, kid’s menu items are $12.90 each. Running from Monday to Thursday is the Rosemount Hotel’s ‘Kids Eat Free’ promotion. From 11 am to 6:30 pm, children can enjoy either chicken nuggets and salad, pasta and Napoli sauce, or mac and cheese for free. To redeem the offer, simply purchase an adult main meal. This offer only applies to kids 11 years and under. With the purchase of an adult main meal, parents can redeem a free kid’s meal. Children have the option of mini cheeseburgers, quesadillas, grilled fish, mac and cheese, chicken nuggets, pizza, or steak. This offer is available all day to kids under the age of 12 years. On top of this, the Carine Glades Tavern also offers free kids entertainment between 5 pm and 7:30 pm on Tuesday, and between 4:30 pm and 6:30 pm on Fridays. On every other day, kid’s meals are $9.90 each. Kids eat free all day Tuesday at the Brooklands Tavern. Children have the choice of chicken dippers, mini schnitzel, chicken burgers, chicken parmigiana, fish and chips, calamari rings, spaghetti bolognese, steak, pizza, or pasta. All meals also come with a side and a drink. Kids eat free every Monday and Tuesday at the Sporting Globe. By purchasing an adult main meal, parents can redeem a free kid’s meal and a dessert or mini football. Children have the option of either chicken tenders, fish tacos, burgers, and much more. On every other night, meals are typically between $10.90 and $12.90 each. This offer only applies to kids under the age of 9 years. Head over to the Brotzeit German Bar between Monday and Wednesday for their ‘Kids Eat Free’ menu. Purchase a main adult meal to receive one complimentary kid’s meal. Children can enjoy dishes such as chicken fingers, pork sausages, or cheese spaetzles. The venue also offers a kid’s corner to entertain the little ones. Conditions apply – this promotion isn’t available on public holidays. On every other night, kid’s meals are $10 each. The Bada Bing Cafe offers free kid’s meals every Wednesday and Thursday whenever a main adult meal is purchased. Children can choose between fish and chips, penne carbonara, potato nachos, crispy chicken salad, or an omelette. This offer is only available to kids under the age of 12 years. Guzman And Gomez offer their ‘Kids Eat Free’ promotion every Monday, Tuesday, and Wednesday in Western Australia locations only. With a regular adult menu purchase, children can select up to two kid’s picks. Conditions apply – kids must be present when the purchase is made. The offer doesn’t include mini burritos, drinks, sides or extras. Address: Various destinations. Check your local restaurant to see if this offer is available. Kids eat free at the Rosemount Hotel from Monday to Thursday every week from 11 am to 6:30 pm. Children can choose between chicken nuggets and salad, pasta and Napoli sauce, or mac and cheese. To trigger the offer, simply purchase an adult main meal. This offer only applies to kids 11 years and under. Head over to Panchos Mexican from Tuesday to Saturday for their ‘Kid’s Eat Free’ offer. Between 5 – 6 pm (and all night on Sundays) children can enjoy queso dip, nachos, enchiladas, or tacos. The meal also comes with a drink and dessert. This offer is only available to kids 12 years and under. On every other night, kid’s menu items are $14.90 each. The Rosemount Hotel offer their ‘Kids Eat Free’ promotion from Monday to Thursday. Purchase an adult main meal between 11 am and 6:30 pm on any of these days to receive a complimentary kid’s meal. Kids can enjoy chicken nuggets and salad, pasta and Napoli sauce, or mac and cheese. This offer only applies to kids 11 years and under. The Mashing Brewing Co offer free kid’s meals every Friday from 5 pm. Children can choose between steak, spaghetti Napoli, pizza, fish and chips, or chicken strips. This offer only includes the meal. Drinks and dessert are additional. On every other day, kid’s meals are $13 each with a drink and dessert included. Kids Eat Free all weekend at the Kewdale Tavern. Not to mention, the kid’s meals also comes with a free drink and a party pack. Conditions apply – this offer cannot be used with any other discounts. Head over to the Herdsman Lake Tavern on Sundays for a free kid’s meal. Children have the option of either chicken dippers, chicken schnitzel, calamari rings, cheeseburgers, spaghetti bolognese and much more. Kid’s meals also come with a side dish and a drink. 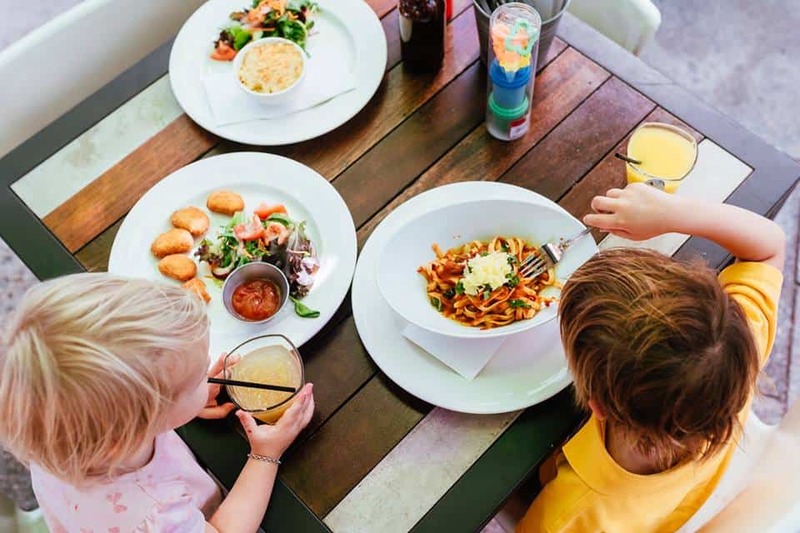 Whether you’re looking for a weekday lunch or a weekend feed, the Wanneroo Tavern offers their ‘Kids Eat Free’ promotion every day until 5 pm. Children can choose between pasta, nuggets, fish, calamari, burgers, chicken tenders, or pizza. All meals are also served with either chips, salad, mash, or vegetables. To sweeten the deal, the tavern also offers face painting on Sundays and Mondays from 5 pm. This offer is only available to kids 12 years and under. On every other day, kid’s meals are $10 each. Previous postCafes with Playgrounds in Brisbane for Kids Next postPlaces Where Kids Eat Free In Darwin | Monday to Sunday!